Who said you had to go anywhere for a good time? Grab a blender and make your parents’ basement a top spring break destination with these 25 tropical drinks. Take your tequila beyond lime and salt. 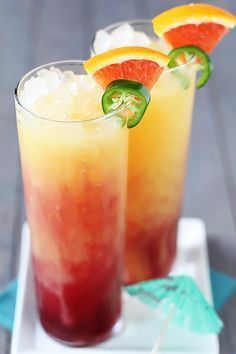 Pretend you’re in Cancun; take away the gasoline taste with some orange juice and fresh fruit flavors. How Much Sleep Do College Students Really Need?